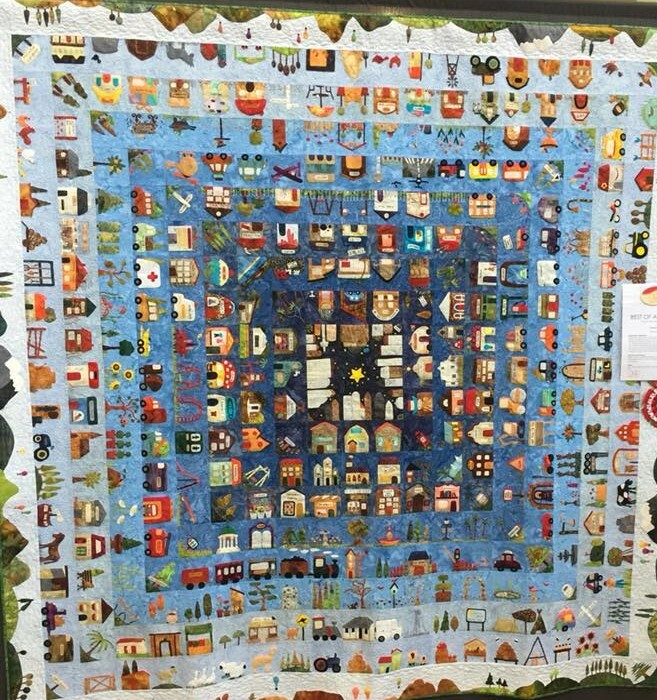 The last two quilts from the best of Australia are here. The first of these is entitled ‘Darwin to Katherine’ and is by Annie Rodomski from the NT. 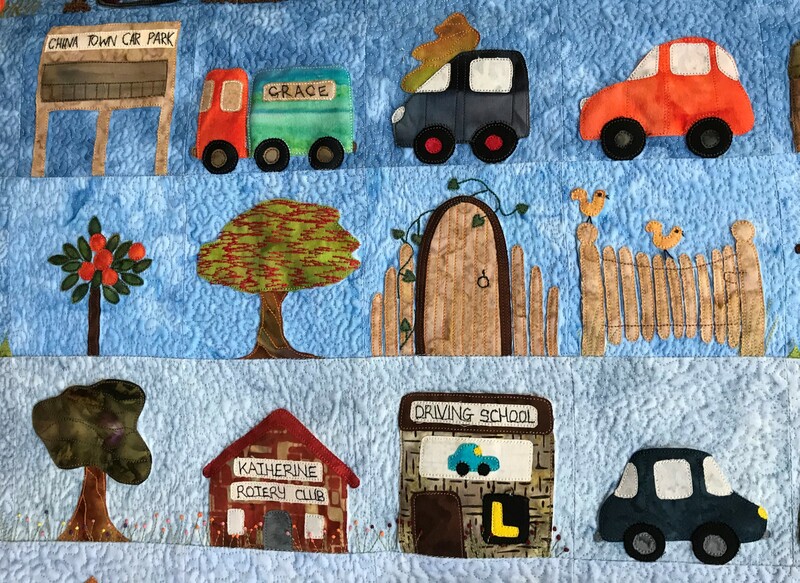 The thing that is very special about this quilt is that if you are a local, you will be able to recognise all of the buildings and locations in the quilt. Here is a little detail so you can see how cute it all is. The last quilt is inspired by the iris of the eye. It is by Sugy Kim and titled colourful retina. 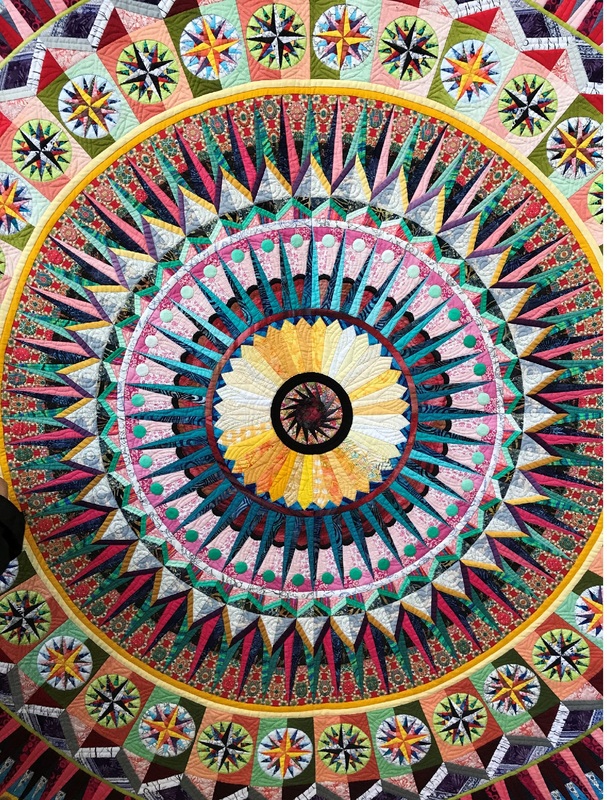 You really have to see this quilt to appreciate the detail in it. It is pieced and hand quilted. 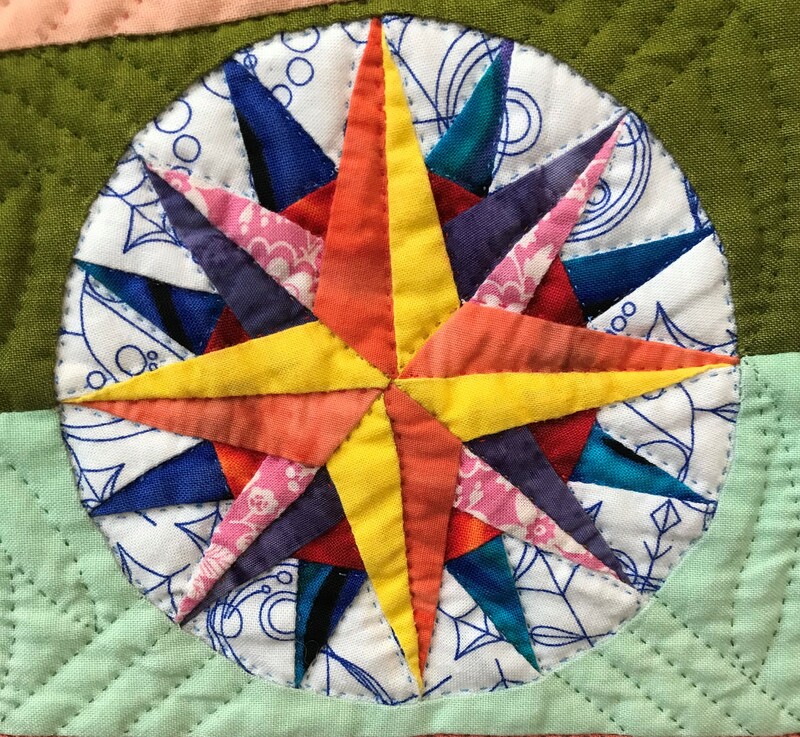 Here is a detail of the piecing. 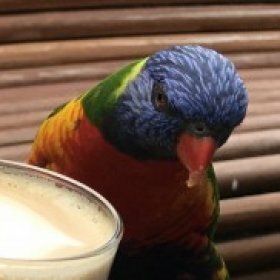 The Australian Quilt Convention – The Best of the Best Part II The Australasian Quilt Convention – The best of the best Part III Australasian Quilt Convention 2018 Part I Welcome to ‘Quilt Club’!